Exclusive retreat deals and great savings on our wellness vacations. The “Bring a Friend” program is a great way to save for both you and your friend! If you and your referred friend both contact us for the same retreat and dates, you can both save $149 EACH on your retreat. If you refer a friend for separate dates you can still save $99 each on your respective retreats. 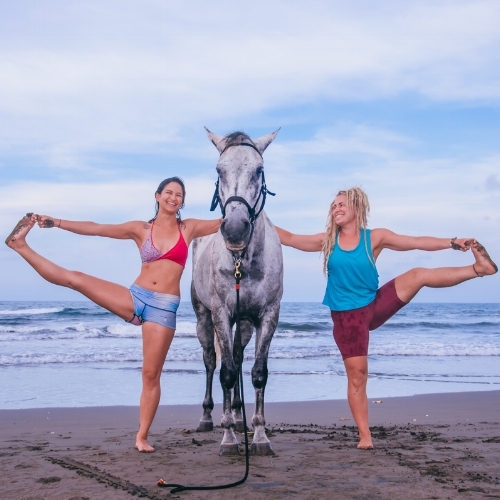 This also applies for Yoga Teacher Trainings and the Yoga & Horses Teacher Program. SECURE YOUR TRAINING TODAY & SAVE! Book your Yoga Teacher Training today and lock your program in at our current Early Bird Rates! Send a message for the promo code. *YTT begins in October, 2019. *Offer Valid Until May 1st, 2019.